The global excess of liquidity is not an exception in the Spanish financial market. Banks and, more significantly, institutional investors such as investment funds (opportunistic and long term), pension funds and others have deployed a substantial amount of liquidity in the Spanish market. The main focus of those investments has been real estate, either by means of direct acquisitions of through the acquisition of NPLs from the Spanish banks (with NPL transactions amounting around €50 billion in the last 12 months), and they have also invested in industrial and telecom companies. Banks and non-traditional lenders are also providing more short-term capital and credit lines to SMEs and consumers. This is pushing the economy significantly. In addition, the good signs and macro data of the Spanish economy brings optimism to investors, and unless political instability affects growth and confidence, it should be expected that the level of investment in Spain shall remain for all sectors in the coming years. There are two measures related to the European Central Bank that may have a direct impact on the Spanish financial markets. The reduction of the ECB's TLTROs and a potential increase of the interest rates will affect a market that is still dominated by the traditional banking entities. This is helping the alternative lenders to take over a niche of the marketspace left that banks cannot finance because of internal limitations imposed after the last real estate crisis. Brexit, Trump's presidency, the political crisis in Catalonia, the new Spanish and Italian governments, the Euroscepticism across the EU and many other things are factors that no doubt should have an impact in capital markets sooner or later; however, it seems that money is not scared and is getting used to permanent global and political uncertainties, both at regional and global level. In Spain, for the moment and except for short periods, it is business as usual and surfing the waves of growth and non-expensive capital. For many years the Spanish Insolvency Act (SIA) proved extremely inefficient to maintain the business activity and foster the economic viability of companies in financial trouble. Most insolvency proceedings in Spain ended up in debtor's liquidation (which, nonetheless, permitted to maintain the going concern business through its sale to the best bidder). As a result of the 'extend and pretend' processes, normally by the time the company was entering into insolvency proceedings, it was too late for its turnaround and recovery rates for creditors were low (more than 90 per cent of the cases). The 2014 amendments to SIA (Royal Decree Law 4/2014, March 7 and Law 17/2014, September 30) promoted refinancing schemes at pre-insolvency stages, introduced certain restructuring tools and new rules that provided out-of-court solutions and reshaped it into a more flexible framework. At that stage, it is revolutionary under Spanish law that dissenting creditors holding financial claims could be crammed down by a majority of creditors. Since then, for instance, it was not necessary to rely on foreign jurisdictions and instruments such as the 'English scheme' to achieve successful financial out-of-court workouts of Spanish companies. For the past years, we have seen very large and well-known Spanish companies and conglomerates (particularly, in the real estate and construction sector) involved in either pre-insolvency and out-of-court procedures or insolvency proceedings (e.g., Martinsa Fadesa, Metrovacesa, FCC, Abengoa, Grupo Isolux-Corsán, Bodybell, Celsa, Comsa, Codere, Prisa and Pescanova). The period of big single names is already over, and it will be difficult to see other large distressed restructurings within the next years. During 2018 and for the next few years, we do not anticipate distressed restructurings exceeding €1 billion. We rather expect restructuring amounts to be around €300 to 500 million owing to the large number of small- and medium-sized enterprises across Spain. The alternative lenders and private debt funds are taking a relevant role in Spanish restructurings. In many cases they are replacing the banks' positions and becoming catalysts of restructurings. Indeed, funds are more flexible and may grant new money and even working capital and short-term credit lines. Typically, we have seen the acquisition of the majority of the financial debt to cram down the banks and impose new terms to minority dissenters and subsequently, capitalise all or part of the financial debt or transform it into participative loans. Finally, funds are also participating in restructuring procedures by financing the acquisition of borrowers' debt at discount and once the business is sound again, they are usually replaced by traditional banks. Both creditors and debtors prefer out-of-court and pre-petition restructuring tools (individual and collective refinancing agreements, court-sanctioned refinancings (i.e., judicial homologations or 'Spanish schemes') and out-of-court payment agreements) rather than moving into formal judicial insolvency proceedings. In general, recovery rates are normally much higher at pre-insolvency stages. The number of insolvency proceedings in 2017 has stabilised at 4,000 cases. However, if we compare it with 2014 when there were almost 6,500 cases (-39 per cent), it shows an important reduction. The regions of Catalunya, Madrid and Valencia still account for 51 per cent of the total cases. Additionally, 64 per cent of the proceedings involve assets of less than €2 million, while only 2 per cent of the cases exceed €30 million. The average asset per insolvency proceeding is €3.6 million. Since 2014, there have been around 160 judicial decisions of homologation of Spanish schemes. Many of these procedures have been contested and objected since the SIA did not provide a clear solution for some complex situations and, therefore, the matter was subject to interpretation. Four years later, many of these controversial issues have been resolved by Spanish courts, and the framework is now better defined. There is a useful public register named Registro Público Concursal (Insolvency Register), which allows anyone to check the status of any Spanish entity involved in insolvency proceedings and its judicial resolutions online (see https://www.publicidadconcursal.es/concursal-web/). The SIA foresees a concurso (single insolvency proceeding) for companies that are not able (or expect not to be able) to regularly pay their debts as they fall due. The directors of a company or the debtor must file for insolvency within two months of the date on which they became aware or should have become aware of the insolvency situation. Unlike the US Bankruptcy Code, debtors (or creditors) do not have to make a decision between reorganisation (Chapter 11) or liquidation (Chapter 7) upon seeking judicial protection. Every insolvency proceeding begins with the 'common phase', which, however, may be coupled with other actions if a debtor's filing attaches a prearranged proposal of composition agreement or a draft liquidation plan with a binding offer to acquire the business as a going concern. The common phase starts with the judge appointing an insolvency administrator (an independent third party – creditors have no say), who will be in charge of determining debtor's estate and list of creditors (by producing the insolvency report). The insolvency administrator also oversees management of debtor's business (default rule in voluntary cases) or steps into the shoes of directors if so determined by the court (default rule in involuntary cases). Creditors or any interested party may challenge the estate of list of creditors. The common phase will not end until the court resolves these challenges, unless they represent less than 20 per cent of assets or claims, in which case the court may decide to proceed to next phase in order to reduce the length of the proceedings and preserve the value of the assets. Unless the debtor petitions liquidation, the proceeding will move onto the composition phase as a default rule (no other party can petition liquidation, except the insolvency administrator when business shuts down). Summary insolvency proceedings may apply if the debtor: (1) has fewer than 50 creditors or its assets or liabilities do not exceed €50 million; (2) files an early composition agreement proposal or a composition agreement encompassing a corporate restructuring; or (3) files for insolvency with a draft liquidation plan and a binding offer. Under Spanish insolvency law there is a directors' duty to file for concurso within two months of the directors' actual or due awareness of the debtor's inability to regularly pay its obligations as they come due. Failure to comply with this duty may have negative consequences for directors if they are found to have wilfully or grossly negligently created or deepened insolvency within the frame of insolvency classification section (which opens if the composition agreement sets forth haircuts or term extensions of at least a third of a year or three years) – a late petition is a rebuttable presumption thereof. In particular, in the event of liquidation directors may be liable for the impaired claims accrued as from the onset of insolvency. Having said that, within the instruments the SIA establishes to promote early reorganisation, debtors may earn an additional four-month period to keep on negotiating a refinancing agreement out of court, an out-of-court payment scheme or a prearranged composition agreement. Article 5 bis of the SIA establishes the proceeding to earn this safe harbour for directors. The debtor must serve notice with the court that would entertain concurso within two months of the onset of insolvency. The court merely acknowledges receipt (this is not a contradictory proceeding). The debtor has three months to keep on negotiating, as a concurso petition must otherwise follow during the fourth month. Thus, considering that the debtor has two months to file for concurso or serve an Article 5 bis notice, borrowers have at the end six months from the onset of insolvency to negotiate out of court instead of filing for concurso. In practice, so long as suppliers and workers are supportive or controlled, debtors may extend this period through standstill agreements (even seeking homologation thereof to bind dissidents as in the Abengoa case; however, this may be controversial). During this four-month period, the court shall not admit petitions for involuntary concurso (the debtor has preference to file voluntarily until the end of the fourth month). In addition to the stay of director's duty to file for concurso, court acknowledgment of an Article 5 bis notice establishes an automatic stay, though limited to enforcement actions (e.g., security interests, monetary judgments – not payment, setoff, etc.) over assets necessary to continue the ordinary course of business (a standstill entered into between 75 per cent of the financial claims impedes lenders to initiate enforcement actions over any assets). Yet, public claims (taxes, social security, etc.) are not affected by this automatic stay. Security interests governed by the financial collateral special regime or concerning assets not located in Spain also escape this automatic stay (if the collateral is located outside the EU, the ability to escape the automatic stay shall rely on local insolvency law). The debtor is allowed to file one Article 5 bis notice per year. This is consistent with the SIA's goal of promoting restructuring alternatives to concurso, but so long as the restructuring alternatives are actually suitable to remove financial distress. According to Article 71 SIA, the debtor's acts and contracts that were detrimental to the estate and were performed within the two years prior to the declaration of insolvency may be avoided, even in the absence of fraud or intent. The SIA establishes certain rebuttable and non-rebuttable presumptions of detriment to the estate. The SIA also establishes certain safe harbours, mainly: (1) acts conducted in the ordinary course of business and at arm's length terms; (2) acts within the scope of special regulation over payment and clearing and liquidation systems for securities and hedging instruments; (3) security interests granted in favour of the salary guarantee fund (FOGASA) or in connection with credit claims subject to public law; (4) refinancing agreements gathering specific requirements; and (5) acts or transactions subject to foreign law that are unavoidable under the circumstances. Should the clawback action be successful, the act or contract will be revoked and will be declared void. Concerning bilateral contracts, parties shall then return the consideration as the transaction never happened, having the non-insolvent party right to a pre-deductible claim (or subordinated if done in bad faith). As to avoided acts and contracts other than bilateral contracts, the creditor gets a claim (e.g., regarding debt-to-asset swaps, the asset must be turned over and creditor gets a reinstated claim). In order to avoid clawback risk, out-of-court refinancings and, in particular, the security interests taken can be 'shielded' from clawback through homologation and notarisation with certain additional requirements, as explained in the next subsection below. In addition to the insolvency law, clawback action, generally applicable fraudulent conveyance actions, which require intent and have a four-year reach-back period, also work in concurso. Pursuant to the Spanish Supreme Court case law, intent is found when a diligent creditor could not ignore that the act or contract at issue was detrimental for the estate or rest of creditors. This general fraudulent conveyance action is the only one applicable to unwind security interests subject to the financial collateral regime. Insolvent companies have the following mechanisms available under the SIA to restructure their debts. An insolvent debtor may restructure the company's debt by entering into composition agreements with its creditors. The SIA distinguishes between two types: (1) early composition agreement; and (2) ordinary composition agreement. Composition agreements include term extensions (up to 10 years) or haircuts (or both). They may also establish corporate restructurings such as mergers, the sale of assets or business units as a going concern (with the same rules described in Section II.ii), debt-to-asset swaps, conversion into subordinated loans (PPLs) or into any other debt instrument. Other alternatives are also available. These measures other than haircut and term extension cannot affect public creditors. Moreover, under no circumstance can composition agreements determine the global liquidation of a company. The proposal for a composition agreement shall include a repayment schedule and a business plan (if debtor expects to repay the debt with the ordinary course cash flows). For voting and recovery purposes, claims are classified into secured, generally privileged (unsecured but with higher ranking), ordinary unsecured and subordinated. Secured and generally privileged claims are also classified into financial, trade, public and labour. Secured claims are stripped down in accordance with the security interest value (nine-tenths of collateral fair value), becoming the exceeded amount (i.e., deficiency claim). Concerning voting, there is no cross-class cramdown or absolute priority rule. Spanish insolvency law relies on cram-in rules. Moreover, in spite of valuation, subordinated creditors, who have no voting rights, are, however, entitled to the same treatment as ordinary unsecured claims (although deferred – if the composition agreement includes debt deferrals, those terms will be counted for subordinated creditors as from the expiry of the forbearance period of ordinary creditors.). Finally yet importantly, there are no equity cramdown mechanisms. The debtor can bargain with the right to petition for liquidation at any point in time (even if the composition agreement proposal comes from creditors and obtains the relevant majority thresholds). Composition agreements with haircuts up to 50 per cent or term extension (or conversion into PPL) up to five years require a majority of 50 per cent. This is 60 per cent concerning secured and generally privileged claims. Any other content requires a 65 per cent majority threshold. This is 75 per cent as for secured and generally privileged creditors. A simple majority is sufficient if there is full payment within no more than three years or immediate payment with a haircut lower than 20 per cent. There is a specific voting rule established for syndicated creditors. The whole syndicate accepts the composition agreement if 75 per cent of participants favour the proposal, unless a lower majority is provided in the syndicated agreement. The debtor or creditors may submit ordinary composition agreement proposals with the support of 20 per cent per cent of the claims, no later than 40 business days before the creditors' meeting. Voting may be in writing (if there are over 300 creditors) or at a creditors' meeting. Only debtors are entitled to submit early composition agreement proposals at an early stage of the insolvency proceedings and may do so at any time from filing for insolvency, subject to certain restrictions linked to the directors' failure to comply with their management duties. The debtor needs the support of 20 per cent of the claims (or 10 per cent if the proposal is filed with the petition for insolvency). The business unit can be sold off at any time during the insolvency proceedings with the authorisation of the insolvency administrator and court approval (usually through auctions, although direct sales are also possible). Moreover, the SIA provides a specific type of accelerated pre-packaged sale when a debtor files for insolvency and simultaneously requests liquidation with an agreed binding purchase offer for the business with a third party. In such a case, the judge opens the liquidation phase. An important aspect of the sale of business units or pre-packaged sales is that purchaser can assume or reject (without having to pay damages) executory contracts, licences and administrative permits. The purchaser can also leave behind (unless otherwise expressly stated) the debtor's debts (both insolvency claims and administrative expenses) except for labour claims and social security claims. In principle, this is akin to the assumed labour contracts, but labour courts usually find the purchaser jointly and severally liable for the rest of the labour and social security claims. Importantly in terms of due diligence, no taxes or tax contingencies are transferred to the purchaser. In practice, however, the deal structure becomes paramount in order to minimise the accrual of taxes related to the very sale of the business unit. The business unit can also be transferred free of any liens, in rem rights and security interests (although the purchaser may elect to assume secured financial contracts, in which case the security interest is not cancelled). The statutory rule (contraverted by the Spanish Supreme Court ruling of 21 November 2017 that has not yet changed lower courts' rulings) is that secured creditors that fail to enforce the security interest ahead of liquidation lose control over the collateral, although they maintain the right to get hold of the proceeds as to the secured amount. When it comes to the sale of business units (where collateral is included within its business activities), secured creditors who have lost the right to call on collateral on a stand-alone basis have the right to obtain a part of the price equivalent to the weight of the collateral in the estate. On the other hand, if secured creditors have already initiated enforcement proceedings and the collateral is included within its business activities, they have veto right unless they receive a percentage of the price equivalent to the value of the security interest (nine-tenths of collateral fair value) or 75 per cent of the secured claims from the same class (public, labour, financial or trade) so consent. Articles 71 bis (1) and 71 bis (2) regulate, respectively, collective refinancing agreements and non-collective or individual refinancing agreements. Both refinancing agreements and their security interests enjoy immunity to any clawback action, and lenders' claims will not be equitably subordinated as for debt-to-equity swaps or directorship following one of these refinancing agreements (the same applies to homologated refinancing agreements). Collective refinancing agreements are those entered into by debtor and creditors whose claims represent at least three-fifths of the debtor's liabilities on the execution date of the agreement (as evidenced by a certificate issued by debtor's auditor). Collective refinancing agreements must: (1) be supported by a viability plan allowing the continuity of the business activity in the short and medium term; (2) involve a significant increase of available credit, or the amendment of existing obligations (either through rollover or maturity extension); and (3) be notarised before a Spanish public notary. Individual refinancing agreements are those available when collective refinancing agreements are not possible. These refinancing agreements shall meet the following requirements: (1) the ratio of assets over liabilities is improved; (2) the resulting amount of current assets is not less than the current liabilities; (3) the value of the security interests (calculated according to SIA criteria) does not exceed nine-tenths of the value of the outstanding debt owed to the creditors participating in the agreement, and does not exceed the previous ratio between security interests and the outstanding debt owed to such creditors; (4) the interest rate of the existing debt or debt resulting from the refinancing agreement does not exceed the interest rate applicable to the previous debt by more than a third; and (5) it is executed as a public deed before a Spanish public notary. New money extended as part of an individual or collective refinancing agreement (homologated or not) earns the administrative expense treatment in the event of concurso as for 50 per cent of the claim (the rest ranking ahead of ordinary unsecured claims). A fourth additional provision of the SIA regulates a homologación judicial (a court-sanctioned workout), which is a collective refinancing agreement supported by at least 51 per cent of the financial claims (excluding public, labour and trade creditors) and sanctioned or 'homologated' by the court (but not per se a judicial proceeding). In addition to the protection against the insolvency clawback action (ring-fenced structures) and the new money incentive, the most relevant effect of the Spanish scheme is that it allows extension of effects – through a cram-in mechanism – to dissenting creditors and absentees holding financial claims that are both unsecured and secured. In this regard, secured claims that exceed the value of its collateral will be treated as unsecured claims for the non-covered portion. On the other hand, Spanish law does not foresee any mechanism to cram down equity holders. However, shareholders of the debtors may be personally liable in the event of liquidation when they reject, without a reasonable cause, the capitalisation process, which frustrates a collective refinancing or a court-sanctioned scheme. As far as we are aware, this liability regime, which presents certain technical and practical issues, has not yet been applied in practice. The majority thresholds to extend the refinancing agreement to holdouts depend on the content and on whether such holdouts' claims are secured or unsecured (i.e., whether creditors benefit from in rem security or security interest, meaning, in general, mortgages and pledges). When dealing with unsecured financial claims (comprising not only creditors that do not enjoy in rem security or security interest, but also the deficiency portion of a secured claim): (i) the majority threshold is 60 per cent to extend term extension of principal, interests and other amounts due, up to five years; or conversion into profit participating loans with a term up to five years; and (2) a majority threshold of 75 per cent of the financial claims permits extension of term extension of principal, interests and other amounts due, from five to 10 years; unlimited haircuts; debt-to-equity swaps; debt-to-asset swaps; conversion into profit participating loans with a term from five to 10 years; and conversion into different financial instruments. Regarding secured financial claims, a majority of 65 per cent of the secured claims (calculated by value of the security interest as defined by the SIA) is required when dealing with content (1) above, and 80 per cent of the secured claims when the content related to (2) above. The concept of financial debt has been very controversial. According to recent cases (namely Abengoa), contingent debt that has not yet crystallised should not be affected debt for homologation purposes. Therefore, the only way to refinance dissident contingent debt would be a composition agreement in concurso. For purposes of calculating such percentages, claims held by specially related parties to the debtor (in general, shareholders over 10 per cent or 5 per cent, directors and other entities part of the same corporate group) are not accounted. There is also a special rule for syndicated instruments, by which where more than 75 per cent of the claims support the refinancing, the whole syndicate is deemed to actually support it. The agreement shall also be executed before a public notary and approved by the judge. Dissenting creditors and absentees may challenge the judge's resolution but based on two limited grounds: (1) existence of disproportionate sacrifice (a concept subject to several constructions by our courts); and (2) failure to meet the majority thresholds. The debtor can only apply for one homologation process per year, although in Abengoa there were two homologations (a standstill and refinancing agreement) on the basis that second one was filed by lenders, which remains controversial. Dissenting creditors can also be crammed down by means of this straightforward mechanism only applicable to individuals and small companies (companies with less than 50 creditors, estimated liabilities or estimated assets of €5 million or less and for extension of terms up to three years). Both extensions up to 10 years and write-offs are available subject to approval by a 60 to 75 per cent majority of creditors affected. However, debtors have not taken much advantage of it, and it has been rarely used owing to lack of creditors' support. Under Spanish law, obligations can be secured by in rem rights (i.e., mortgages over real estate) where a specific asset secures fulfilment of an obligation, or in personam guarantees, where a person guarantees fulfilment of an obligation. There are also material differences in proceedings for their enforcement (as explained below) and their treatment during insolvency under the SIA where creditors with collateral over specific property or rights (i.e., mortgage or pledge), or equivalent rights (i.e., finance lease agreements) are classified as privileged creditors and are only bound by the composition if they accept it voluntarily. Real estate mortgages cover not only land and buildings built on it, but also automatically proceeds from the insurance policies related to the property, improvement works and natural accretions. Parties may also agree to extend the guarantee over movable items located permanently in the mortgaged property for its exploitation, proceeds of the mortgaged property and any outstanding rent. They must be granted by means of a public deed before a public notary and filed at the relevant land registry. Obligations can also be secured by means of a chattel mortgage. This particular type of mortgage can cover the whole business of the grantor (including leases, fixed installations, equipment, intellectual and industrial property, and raw materials and finished goods, if certain requirements are met), motor vehicles and aircraft. Industrial machinery and IP rights can also have their own separate type of security. These mortgages must be executed by means of a public deed before a public notary and entered on the chattel registry. Since March 2016, aircraft equipment can also be subject to 'international interest' under the Cape Town Convention on International Interests in Mobile Equipment. The only requirements are to be set out in writing (identifying the object and the guaranteed obligations) and the guarantor's title to dispose of them. Entry on the International Registry of Guarantees is a requisite for enforceability against third parties. International interests have priority over any national guarantee regulated by domestic law, even where the national guarantee was created before, and are enforceable in insolvency proceedings if they were registered before the proceedings began (the international interest would be treated in the insolvency as a national in rem guarantee). For movable assets that cannot be the object of a chattel mortgage (because their specific identity cannot be registered), or of an ordinary pledge (given the legal or financial impossibility being transferred), Spanish law regulates the non-possessory pledge. Movable assets that may be involved in this sort of pledge are row materials and stock, and machinery. Credit rights not represented by securities or considered financial guarantees (under the Collateral Directive and its transposition under Spanish law) can also be used in a non-possessory pledge. The law requires entry on the Chattel Registry as a condition for validly creating the pledge. Pledges can also be granted with transfer of possession to the creditor or a designated third party. For the pledge to be enforceable against third parties, a notarised agreement or a public deed must be created. The most common type of ordinary pledge is given over shares and credit rights (such as bank accounts, receivables and insurance policies). In Spain, a personal guarantee may be granted by means of a fianza (an ordinary guarantee) or by means of a aval or garantía a primera demanda o a primer requerimiento (first demand guarantee). The aim of a first demand guarantee is to provide the beneficiary with faster and summary means of enforcement, avoiding unnecessary costs and delays derived from certain benefits and privileges conferred by Spanish law to any guarantor under an ordinary guarantee (i.e., exhaustion of remedies against the principal debtor, division between several guarantors or main debtor and guarantor and requesting payment only after seeking first from the main debtor). In terms of enforceability of first demand guarantees, the court should not analyse the guaranteed obligation, since the first demand guarantee is an abstract, independent and autonomous obligation with respect to the loan agreement. The most common types of security given in Spanish practice are personal guarantees and pledges over assets (i.e., shares) and credit rights, since they are not subject to registration (and, therefore, not subject to registration fees or taxation). Stamp duty can be triggered when granting or assigning security if such security is granted by means of a public deed and could be filed at a public register. Property mortgages are also a very usual security when the value of the property justifies the payment of the stamp duty and other related costs. More recently, floating mortgages (Article 153 bis) are popular since they can secure several financial obligations and, consequently, prove cost efficient, but are only available to credit institutions. Other guarantees that are also subject to registration (such as mortgages over machinery or trademarks and pledges without transfer of possession over stock or raw materials) are less common because of the stamp duty and costs to be paid. Lastly, some Spanish autonomous regions, particularly, Catalonia, have approved regulation on guarantees that differs significantly from Spanish common law. Under Spanish law, mortgages and pledges can be enforced judicial or notarial proceedings (when stipulated in the agreement). In judicial proceedings, the asset can be sold by direct sale (through a sale agreement), by a specialist entity or through an auction. Notarial proceedings can only be carried out by auction. In both proceedings, auctions must be carried out through an electronic auction held on the Official Gazette of the Spanish state's auctions portal. Pledges over credit rights are usually enforced by setting-off the outstanding amounts under the guaranteed obligations with the amount of the pledged credit rights. Personal guarantees can be enforced either through procedimiento declarativo (declaratory civil proceedings) or procedimiento ejecutivo (summary proceedings), the latter when certain conditions are met (granted by means of a public deed where the secured obligation is clearly specified and where the parties expressly agree this proceeding). Summary proceedings are faster and more effective, while the declaratory civil proceedings are costly and time-consuming. At pre-insolvency stages, the SIA limits the possibilities of enforcing collateral over the insolvent's assets that are required for the continuity of the debtor's professional or business activity. In this case, individual enforcement proceedings involving these assets cannot be started, and those already started will be suspended during the time between submission of the communication to the court stating that negotiations for a refinancing agreement or for an advance composition proposal have started and (1) the signing of a ring-fenced refinancing agreement; (2) the admission to processing of a request for a Spanish scheme; (3) the execution of an out-of-court refinancing agreement; (4) the obtaining of the quorum required for the admission to processing of an advance composition proposal; or (5) the insolvency declaration. This period must not exceed four months. Proceedings by financial debt creditors cannot also be started, and those already started will be suspended, if creditors representing at least 51 per cent of the financial debt support a refinancing agreement and commit to a standstill. Additionally, once the insolvency is declared, enforcement or realisation of the security may not commence until a composition is approved (which does not affect that entitlement) or one year elapses from the insolvency declaration without liquidation taking place, unless the auction announcement for the asset or right had been published at the time of the insolvency declaration. For this purpose, the law extends the treatment to the recovery of movable property sold by instalments and those assigned by financial leases (provided that the corresponding contracts or documents are registered), as well as to the cancellation of real estate sales owing to failure on payment the deferred price. Under Spanish law, there is no shift of directors' fiduciary duties to creditors when approaching or during insolvency. Having said that, when a company is in financial distress, directors may be found liable in certain specific cases. Spanish companies' directors must perform their duties with the diligence of a careful entrepreneur and loyal representative. In a financial distress scenario, that means they can be jointly and severally liable for corporate debts if they breach their duties relating to winding up the company. If any of the legal causes for winding up the company occurs (i.e., when losses reduce equity to less than half of share capital), directors must call a general meeting within two months to pass the resolution to wind up the company or, if the company is insolvent, to petition for insolvency proceedings. The two-month term for calling a general meeting runs from the date the directors became aware or should have become aware of the cause for winding up with the diligence required from them. If the general meeting fails to do so, the directors have a duty to apply for a court-ordered winding up of the company. Breaching these obligations is enough to incur directors' liability, regardless of any damage to creditors, directors' culpability or a causal link. Consequently, a creditor may claim the full amount of the debt from any director. In insolvency situations, the directors' liability regime is only triggered when it is necessary to categorise the insolvency (i.e., when the liquidation phase starts or in some cases when a composition agreement is reached) either as fortuitous or culpable. Insolvency is categorised as guilty when the insolvency situation is created or aggravated by the wilful misconduct or gross negligence of the formal or de facto directors, general proxy holders or any person who had that status within the two years before the insolvency declaration. The SIA provides for certain iuris et de iure (no contrary evidence is admitted) assumptions of guilty insolvency (e.g., the material breach of accounting duties) and iuris tantum (unless proved otherwise) assumptions of culpable insolvency (e.g., breaching the duty to petition an insolvency). Directors concerned in a guilty insolvency can be disqualified from managing third-party assets for a term of two to 15 years and can lose any right as creditors in the insolvency and the indemnity for the damage caused. Additionally, when the insolvency estate is insufficient to cover the credits, the court may order directors declared affected by the categorisation to cover all or part of the deficit, provided certain requirements are met. Although not constituting case law since homologation rulings are not appealable, the Seville Commercial Court No. 2 of Seville, of 25 September 2017, entails a significant court development in terms of objections and challenges to homologation. First, in contrast to the FCC ruling, and concurring with Bodybell, the court found that syndicate dissidents (five groups of bondholders) do have standing to object to homologation. In addition, trade creditors who are aware of their claims being affected by the restructuring also have standing to object to homologation based on the commercial character of their claims (the Eroski case had particularly cast doubt on this). Otherwise, commercial creditors may eventually seek relief before general jurisdiction courts. Second, in contrast to the FCC criterion, the judge sustained that the majorities must be determined as per the total financial debt and not as far as the affected debt only. The 75 per cent threshold calculation base includes: (1) financial claims outside the refinancing debt scope; (2) non-compromised debt, such as interim new money financing; and (3) secured debt, irrespective of whether or not the effects are extended to dissident secured claims – which may be analysed under the disproportionate sacrifice exception. Third, the court confirmed that contingent claims are not financial claims for homologation purposes. Contingency disappears with technical default occurrence. Whether financial statements are correctly elaborated (and whether or not a guarantee was registered as a liability, a provision, or not even accounted for in the balance sheet) is not a critical argument to consider that a liability is or is not a financial claim, despite the consequences of any potential flaws as a matter of corporate law and, potentially, directors' liability. the sacrifice is unfair: (1) in light of the liquidation test; (2) because the dissident is treated less favourably than acceded creditors without sufficient reason or consideration; (3) because holdout receives worse treatment than other creditors with the same priority in distribution in bankruptcy; (4) because creditors who would be junior in bankruptcy are treated equally or better than holdout; or (5) because the better treatment obtained by senior creditors is unreasonable in light of the difference as to the bankruptcy priorities in distribution. Fifth, the court sustained the existence of disproportionate sacrifice based on different treatment conferred to supporting and dissident lenders in terms of haircuts, term extensions and interests. Holdouts should have given the option to choose after homologation, similar to the acceded lenders. a As for the allegation that the security interests in favour of the new money were disproportionate, the court found that this is not a valid ground to object to homologation. Besides, the homologation ring-fence protection does not impede challenges based on generally applicable fraudulent conveyance law. The court also rejected the absolute priority rule allegation, because (1) Spanish insolvency law only establishes two classes as per homologation: secured and unsecured financial claims; and (2) apart from the ineffectiveness of the draft EU Directive absolute priority rule, it could not be applicable in homologation, since, strictly speaking, no class is imposing a plan over other dissident classes. The court held that (non-enforced) bonding lines, corporate guarantees and insurance are financial claims, despite the underlying obligation being a commercial or trade claim. On the other hand, enforcement leads to the settling guarantor or insurer stepping in the shoes of the trade creditor. Hence enforced corporate guarantees, insurance and bonding lines would not be financial claims and would, therefore, be unaffected by homologation. The court sustained that the public claims safe harbour is only applicable to European administrations and agencies. Irrespective of whether the workout is extended to dissident holders of secured claims, the court insisted on its view that the petitioner must produce the security interests valuation report. The court rejected Abengoa's and supporting lenders' allegation that this was not required as, following the enforcement of the security interest, the deficiency claim would have always been subject to the alternative restructuring terms (i.e., to the refinancing agreement). The crisis in Spain has affected severely all sectors. However, the construction companies, real estate developers and some financial institutions are the ones that suffered this impact the most. Even at the late stages of the crisis, Abengoa and Isolux are both good examples. The restructuring process of Abengoa's group has been by far the largest restructuring in Spain (with an initial debt of €20 billion) with impact worldwide owing to the size of the group (with more than 8,000 financial creditors and 600 group companies). The restructuring process began on November 2015, when the debtor filed a pre-insolvency notice to the court, and was completed on March 2017. In this process, two major agreements were subject to homologation in less than one year (a standstill agreement to extend the negotiation period, subject to great controversy, and the major restructuring agreement). 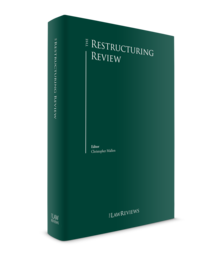 The second ruling solving the objections to the Master Restructuring Agreement of 25 September 2017 confirmed the Seville Commercial Court No. 2 criterion that contingent claims are not financial claims for homologation purposes. And yet, the court found that in this case no claim was contingent because the Abengoa group was insolvent by November 2015 upon Article 5 bis filing, which triggered the relevant technical default. This ruling also shed light on whether creditors whose claims are mischaracterised as financial have standing to raise the disproportionate sacrifice exception in the objection to the homologation ruling proceeding. It is also worth mentioning the importance of introducing majority supporting creditors' right to exit in case of successful objections to homologation (as introduced in the Celsa refinancing agreement, for instance). Otherwise, as in the Abengoa case, dissenters held an unimpaired claim (in certain cases against the operating companies) whereas the vast majority of lenders agreed to restructure and structurally subordinate their debt, which explains the latest tensions that have affected Abengoa's debt value. A purchaser's ability to leave behind debts when it comes to sale of a business unit has an exception when the purchaser is a debtor's specially related person. 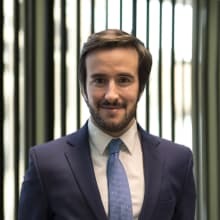 The law has though limited to restrain the specially related person characterisation to seller and not to its shareholders or directors, which permited MBO structures financed with direct lending to offspring in the Spanish restructuring market. Isolux's sale of its Spanish business unit to incumbent directors is a recent and major example of this practice. Isolux successfully sought homologation of a refinancing agreement in the second half of 2016, but several factors made it fail, eventually leading to a bankruptcy declaration where the Spanish business unit was transferred to incumbent directors. The new European Regulation on insolvency proceedings (EU Regulation 2015/848, recasting EU Regulation 1346/2000) entered into force on 26 May 2017. One of the goals of EU Regulation 2015/848 is the inclusion in Annex A of all new restructuring proceedings (alternative to full-blown insolvency proceedings) enacted across the EU. In the case of Spain, Article 5 bis notices, homologation and out-of-court payment schemes are now automatically recognised in the EU. Concerning reorganisation of companies with their COMI in Spain and multijurisdictional debt instruments, we expect homologation to remain the restructuring means chosen to deal with these cross-border cases. Homologation passed muster for the Chapter 15 recognition test in both the Abengoa and Isolux cases. Most importantly, absent a COMI-shift, other alternatives (such as Chapter 11 and scheme of arrangements) present significant issues when it comes to cramming down dissenters with recourse to assets located in Spain. First, Spanish courts shall not recognise foreign main proceedings where the jurisdiction is not based on COMI location or similar criterion. Second, any creditor would always be entitled to seek a non-main proceeding in Spain, undermining the benefits of a global and comprehensive reorganisation. Third, in the absence of a non-main insolvency proceeding in Spain, secured creditors with collateral located in Spain would be able to bypass the main insolvency proceeding automatic stay and be instead subject to the Spanish insolvency law automatic stay. Finally, yet importantly, concerning clawback risk, Spanish courts shall provide protection to creditors, purchasers and other third parties under contracts subject to non-Spanish law, according to which the contract or act at hand would be unavoidable under the circumstances (see, recently, the ruling from Palma de Mallorca Court of Appeals of 17 October 2017 – Orizonia case). Within the EU territory, the ECJ ruling of 8 June 2017 (Vinyls Italia SpA, C-54/16) has confirmed the ability of the parties to have a contract governed by foreign law even where all the links are tied to the same country (Italy), absent fraud, which must be determined by the insolvency court. Although no comprehensive insolvency law reform is currently pending, we expect reforms reinforcing the role of the homologation proceeding, perhaps looking at the draft Directive on preventative restructuring frameworks, 'second chance' and measures to increase the efficiency of restructuring, insolvency and discharge procedures of 22 November 2016. A group of experts also presented a proposal to recast current insolvency law on 6 March 2017, but it has not yet been implemented.